At CCCCNC, we believe that raising, educating, and caring for children are vitally important jobs, and parents and caregivers deserve the best available information and resources to help their children flourish and grow. We welcome families in need of child care to get in touch with us to secure referrals from our database of registered and licensed child care providers. Our service is FREE, serving Clinton and Franklin counties, and all information is completely confidential. Parents and caregivers may also receive referral counseling and education on quality early care and learning experiences. We do not make recommendations, rather we make referrals for licensed or registered child care programs, which are based on the location in which you are looking for care. From the list provided, you will need to contact the provider of your choice to ask about an opening for your child, and visit any provider you select to make sure that they are the right match for your family. Access the Online Referral Module (ORM) and answer a few question to generate a radial list of registered and licensed child care providers in your desired location. Unhappy with, or have concerns about your current child care services? You have options. First, try to discuss any issues with your provider and feel free to call us at the Child Care Council at (518) 561-4999. CCCCNC welcomes hearing all of your concerns, and will be as responsive as possible to your needs. We may be able to provide on-site technical assistance to your provider. If the care being provided is unsafe, call the Child Care Abuse and Neglect Hotline at 1-800-342-3720. 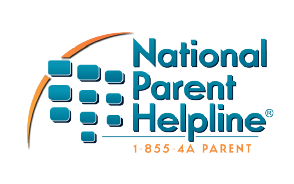 You can also make a complaint to a licensor by calling the Child Care Complaint Line at 1-800-732-5207.